WASHINGTON, DC, July 12, 2011 (ENS) – The U.S. Fish and Wildlife Service announced today that it will determine whether wolverines deserve full protection of the Endangered Species Act by 2013. The wolverine work schedule is part of a legal agreement finalized today between the nonprofit Center for Biological Diversity and the U.S. Fish and Wildlife Service. It requires the agency to make initial or final decisions on whether to add hundreds of imperiled plants and animals to the federal endangered species list by 2018. “Today’s agreement will fast-track protection for 757 of America’s most imperiled but least protected species. The walrus, wolverine, golden trout and Miami blue butterfly will go extinct if we don’t take action right away to save them,” said Kieran Suckling, executive director of the Center for Biological Diversity. In return for today’s agreement, the Center will withdraw its legal opposition to a May 2011 work plan agreement between the agency and another conservation group, Wildlife Guardians. The Center had argued that multi-year listing work plan was too weak, unenforceable and missing key species in need of protection. The multi-year listing work plan was submitted to Judge Emmet Sullivan in the U.S. District Court for the District of Columbia on May 10. The new agreement was submitted to Judge Sullivan for his approval today. If approved by the court, the work plan will enable the agency to systematically, over a period of six years, review and address the needs of hundreds of candidate species to determine if they should be added to the federal lists of endangered and threatened wildlife and plants. Candidate species are plants and animals for which the Service has sufficient information on their biological status and threats to propose listing them as endangered or threatened. “For more than 35 years, the Endangered Species Act has prevented the probable extinction of hundreds of species across the nation and contributed to the recovery of many others,” said Dan Ashe, the newly appointed director of the Fish and Wildlife Service. 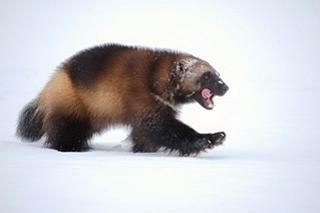 Wolverines in the lower 48 states were added to the candidate species list last December because of their low numbers and the threats posed to their habitat by global warming. The best data available suggests there are fewer than 300 animals across the entire western United States, with only 35 individuals successfully breeding. The following conservation organizations have sought to protect the wolverine under the Endangered Species Act since petitioning the U.S. Fish and Wildlife Service to do so in the year 2000 – Center for Biological Diversity, Conservation Northwest, Defenders of Wildlife, Earthjustice, Friends of the Clearwater, Greater Yellowstone Coalition, Idaho Conservation League, Jackson Hole Conservation Alliance, Klamath-Siskiyou Wildlands Center and Wyoming Outdoor Council. Click here for lists of the 757 species broken down by state, taxonomy, name and schedule of protection.